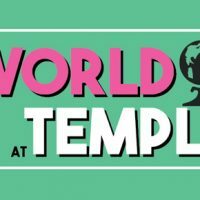 The World at Temple is back with a new host: Luv-en Ya Rowland, an international student from Malaysia. Kaicey Baylor reports on flamenco dance in Barcelona and then joins Luv-en Ya in the set to describe her study abroad experience in Barcelona where she was working for TUTV as a foreign correspondent. Kaicey shares what she learned having to live immersed in a foreign culture while simultaneously reporting and developing stories. Next, we hear from Temple alum Nicholas Yarnall, the CEO and founder of E.3D, which provides emergency 3D printing for disaster relief. Luv-en Ya also talks to the Founder of the Innovative Learning Institute, Dr. David Hall, about the Institute’s Dominican Republic volunteer program, which partners with local nonprofits and focuses on service learning. Joining David are two alums of the program to talk about their experiences in the DR.